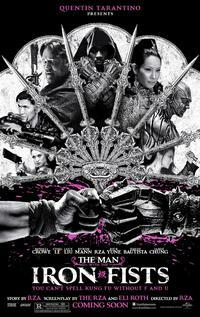 I know you don't need another reason to get excited about RZA's upcoming kung-fu/fantasy knockout Man With the Iron Fists which is scheduled for a November 2nd release, but just in case you need a little more convincing or just want to see more of what the movie will have to offer, we've got a redband trailer that should seal the deal. There's a little more CG blood but beyond that, I'm not sure why on earth this is marked as redband. Either way, enjoy the goodness.